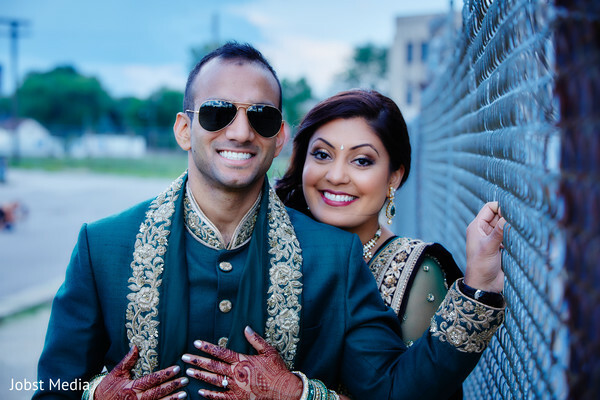 Like true Bollywood stars, Puja and Ajit hosted a fabulous wedding celebration that kicked off with a vivacious grand sangeet at MGM Grand Detroit Casino. 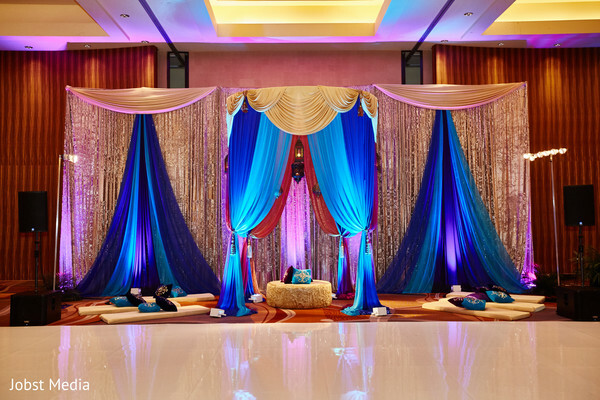 The fantastic planning firm of Utsav Planners, Inc. guided the couple from the start and provided their expertise to create their unforgettable wedding weekend! 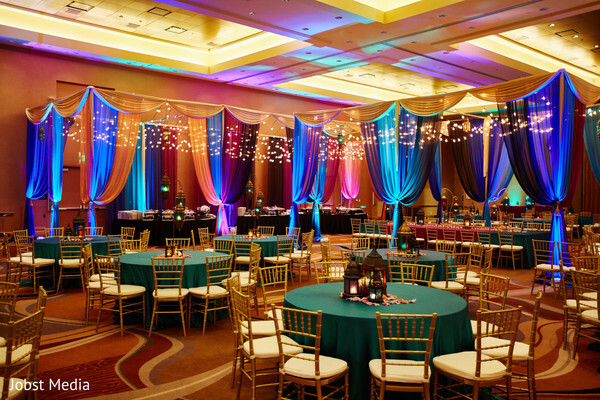 Family and friends gathered for the vibrant function in a magical set up filled to the brim with bright color drapery along with exquisite traditional finery created by Yanni Design Studio. This surreal ambiance surrounded the guests who danced the night away with Dhoom Events Indian Wedding DJ's best energetic beats! Besides the dance galore, the night was made up of traditional food, blessings and above all, colorful attires! 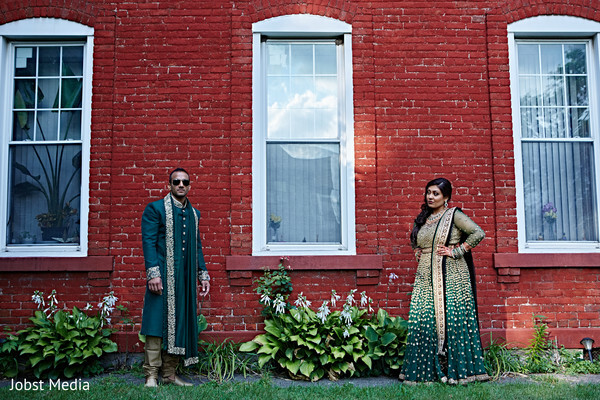 Puja chose an alluring dress option, a teal green lehenga that featured sequin embellishments and that matched flawlessly with her Raja Ajit attire! 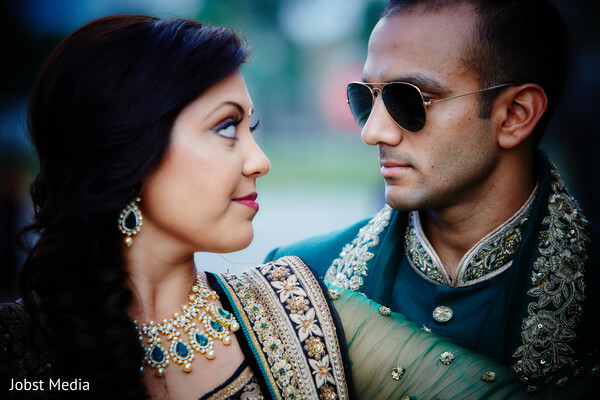 Jobst Media captured the seriously stunning pictures you will find in our full gallery! 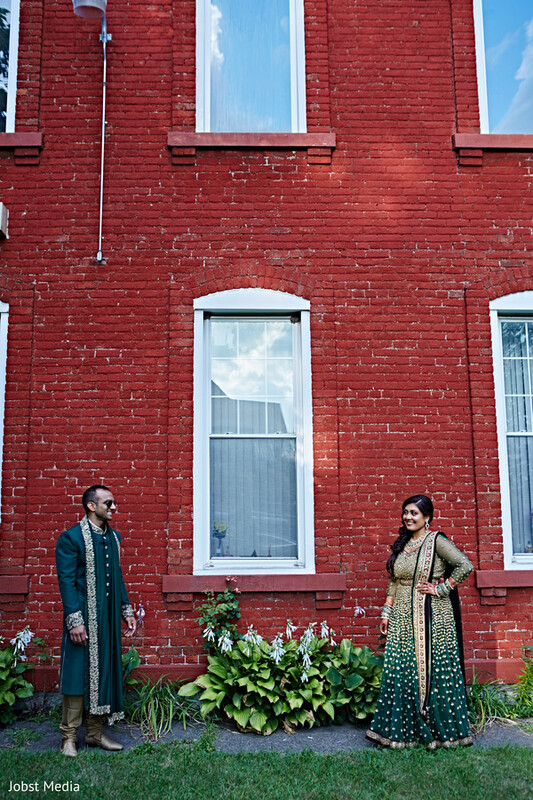 Check out how Puja and Ajit affirm their commitment to each other in our following feature!